Crashes, theft, and vandalism are all inherent risks in the trucking industry and insurance companies continue to raise truck fleet insurance premiums to cover the costs. With higher deductibles and extra liability on the line, it’s more important than ever for fleet managers to focus on fleet safety with good training and reliable technology. Dash cams are one of the ways fleet owners are using technology to reduce their liability. According to the Federal Motor Carrier Safety Administration (FMCSA), there are more than 400,000 commercial truck accidents each year. Dash cams don’t prevent crashes, but they can be used to legally prove accident responsibility. Simply having a dash cam won’t reduce insurance premiums, but one of the primary factors used to determine your insurance rates is your drivers’ motor vehicle reports. A crash won’t necessarily raise premiums if a truck dash cam video proves your driver was not responsible for the accident or it was non-avoidable. Some dash cam models have a parking mode that monitor trucks even when drivers aren’t in the cab. This feature helps identify culprits of hit and runs, theft, or vandalism and can help the police locate the person responsible. Trucker dash cams won’t prevent accidents or replace fleet safety training but can save you thousands of dollars if a crash, theft or vandalism does occur. Make the investment in a truck dash cam for every vehicle in your fleet and protect your business from major liability losses. For more tips on fleet management, read our blogs for fleet owners. 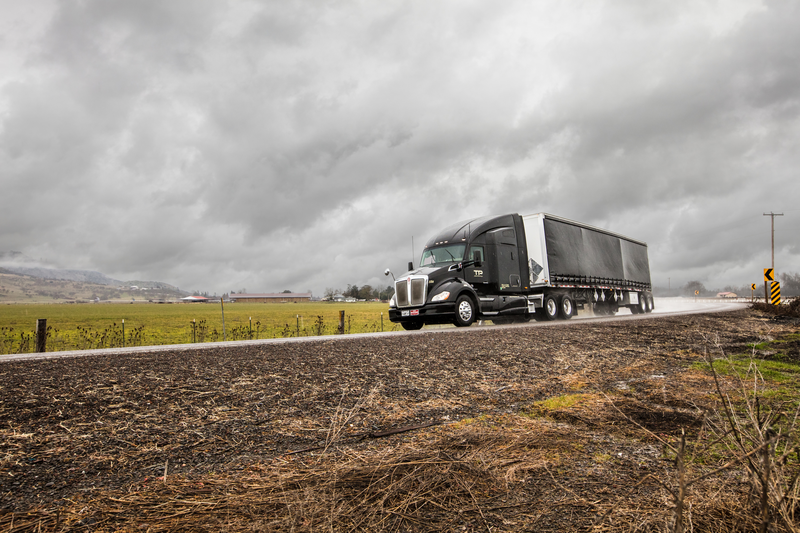 Across the industry, an increasing number of fleet managers are looking to maximize road time for their class 8 trucks through data generated while their trucks are on the road. The popular Kenworth Essentials App for Apple and Android smartphones and mobile devices features the Kenworth T680 and Kenworth T880 Driver Academy video series in the app’s menu of information developed specifically for Kenworth drivers and customers. Did you know that trucks move roughly 71% of the nation's freight by weight? So the saying goes, if you bought it, a trucker brought it.